I must admit as a busy mama, that sounds a little bit like a fantasy. Let's forget going to enjoy some time out by myself, I'm lucky if I can go to the bathroom without an audience. I mean, why is that the kids can be perfectly settled and playing on their own, but the moment you reach the bathroom (or sit to take a little break), suddenly chaos breaks out. I'm not alone in this, am I? But let's be honest, we NEED that me time. As moms, we work so hard for everyone else that we tend to put our own needs last. That leads to an exhausted, cranky mama... and that's not good for ANYONE is it? Somehow, someway, we have to find those moments, even if only for a few moments a day, or once a week or so. What does that look like? That depends on you! For me, I've found my crafting time is my best me time. I may not always be actually by myself, some days I give my daughter some paints and paper and she'll join me. Other times she'll play in her room, or even watch TV...whatever works! But the point is that while I may not actually be ALONE, I am doing something that I love, something just for me! First up, the classics- English Lavender and Oatmeal and Almond. When we talk relaxation lavender is often the first scent that comes to mind. Still, I must admit I'm not usually a huge lavender fan--- any artificial lavender scents leave me with migraines, and even some naturally scented with essential oils are so strong that they do the same as well. This soap however was not an issue. It has a great scent that lasts, but it's not overwhelming or in your face... just what I needed. While it was still my least favorite of the three (just based upon my personal tastes), I will say that this is the only lavender product I've tried that I could see myself willingly purchasing again. Next up, the Oatmeal and Almond, much more my speed. I find these scents tend to be a little more subtle anyway, which is perhaps why I am drawn to them. This bar certainly is no different. It's soft and calming--- and also a great option that my boys could appreciate too. Not feminine, not masculine, just a great every day scent. Having dry skin, these are of course ingredients that offer a lot of great benefits. It offers a gentle exfoliation--- not too much to where it is good to use daily, but the perfect solution for my personal skin woes. I can see this becoming a must have in my shower! Finally, the new variety--- Creamy Coconut. Confession: I LOVE coconut, the taste, the smell... everything about it! Coconut is typically known to be a great moisturizer in and of itself, but the added benefits of shea butter, aloe and vitamin e make it a truly hydrating experience. While I loved the exfoliation of the Oatmeal and Almond, when it comes to the scents, this one takes the cake! It'll have you drifting off to some far off island away from the chaos that is surely going down outside that bathroom door! All varieties offer a great lather that leaves me feeling refreshed and clean after using. Again, all have various properties that help with moisturizing so are ideal options for my dry skin depending on those individual needs. When I need a little extra soothing, the lavender is perfect. Extra exfoliation to remove that dead flaking skin? Oatmeal and Almond has it. And when I just want to escape with that creamy goodness that will live my skin soft and smooth, the Creamy Coconut is my new best friend. 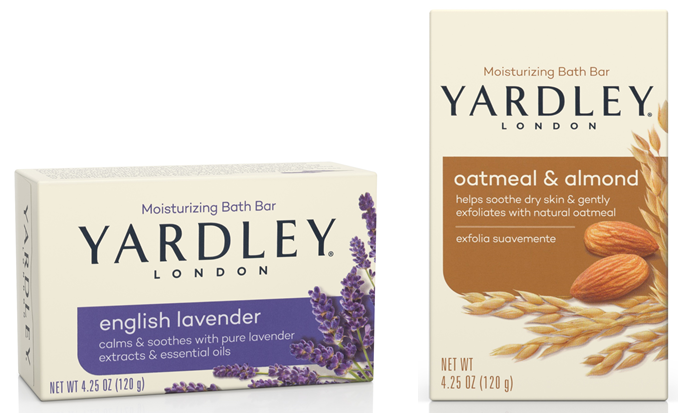 All are crafted with botanical ingredients like essential oils and natural oatmeal, Yardley appeals to anyone looking for a more natural product. But my favorite part? The affordability! 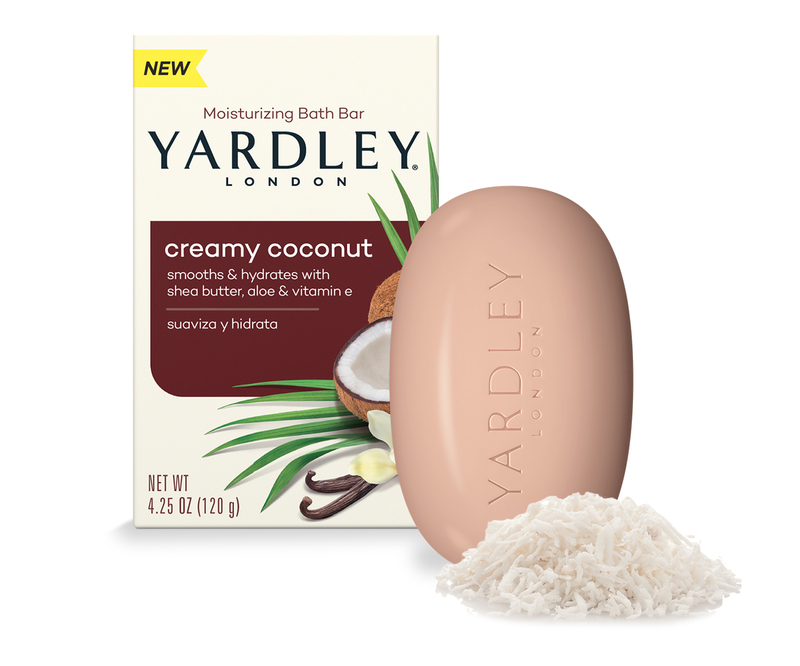 Yardley bath bars are found nationwide at your favorite mass, drug and food stores like Walmart, Walgreens, CVS, Rite Aid, Dollar Tree, Dollar General, Shop Rite, HEB, Publix, Wegmans and many more. The new Creamy Coconut is available at most Walmart and Walgreens stores. The average retail is $1.29-1.49 per bar (97 cents at Walmart). Wow, seriously!? A more natural soap that works great AND is budget friendly! Yes, please! We use the lavender all the time and love it. It has the best scent! I use the Oatmeal and Almond soap all the time. I haven't seen the Creamy Coconut yet, but I'm really looking forward to trying it. I've always loved Yardley. They have very strong perfumes. I'll bet the Creamy Coconut is awesome. Thanks for posting! I love Yardley soap! It's so inexpensive and is so nice!